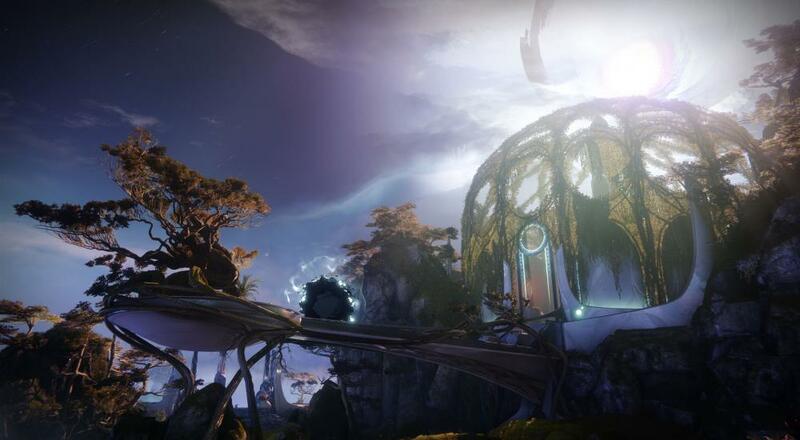 The Dreaming City is Destiny's "largest endgame experience ever" and features all the things you'd expect for a new raid: puzzles to solve, mysteries to decipher, and tons of enemies for you to use all your fancy armaments on. Bungie also explicitly warns players that a terrible evil lies at the heart of the city, most likely to prevent any lawsuits stemming from unstoppable corruption of one's very soul. Destiny 2's three player online co-op can be found on PlayStation 4, Xbox One, and PC. Its first two expansions, Curse of Osiris and Warmind, came out in December of last year and May of this year, respectively. You'll need both of those (as well as the base game) if you're interested in checking out Forsaken. If you haven't played any Destiny 2 so far, but are entranced by the opportunity to explore the Dreaming City, the game's Forsaken Edition is now available for pre-purchase and contains everything necessary to hop right in. If you're already sold, that pre-purchase will also net you Cayde's Exotic Stash, which includes the Ace of Spades Last Hand Exotic Ornament, the Queen of Hearts Exotic Ship, the Standoff Exotic Emote, and Cayde-6 Armor Shaders. Otherwise, you may want to take a look at our review of the base game to get a sense for what all's going on in this wacky sci-fi world.